Tours are operated in a private luxury vehicles. If you prefer to join one of our Stylish Escorted Groups, you may contact your Travel agent or consultant for availability and dates. The displayed prices are based on our basic Gold Category but other categories are available. The price in single is still based on minimum participation for 2 passengers or more. For a passenger traveling alone, we can provide the same tour with a change in the price. Discounted rates for parties more than 2 passengers. Special discounted rates for children sharing parents room. Special benefits and free upgrades for our Stylish Club members. The tour can be modified, shortened, extended, totally customized or tailor-made to meet your requirements and match your flight schedule. Prices will change accordingly. Check with us the list of goodies and exclusive gifts for our Royal and Diamond Styles. This tour is guaranteed to operate with a minimum of 2 passengers. 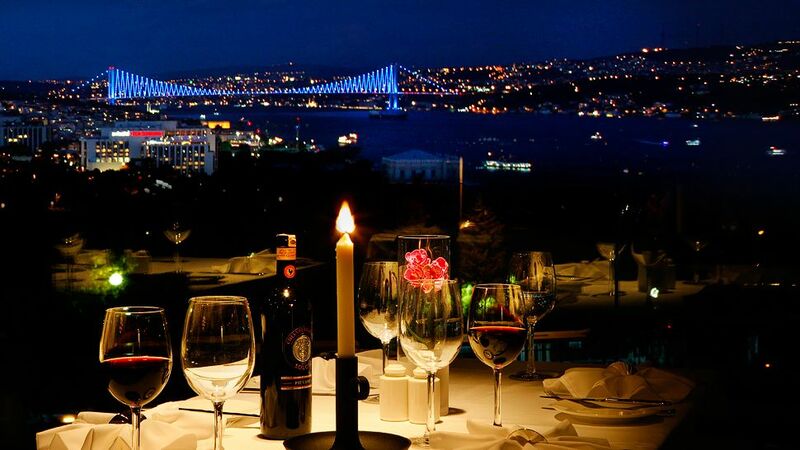 Upon arrival in Ankara, you will be met by a Stylish Tours USA representative and transferred to your hotel for dinner and overnight. In the morning, visit the world famous Anatolian Civilizations Museum and the Mausoleum of Ataturk, the burial place of the Turkish hero. 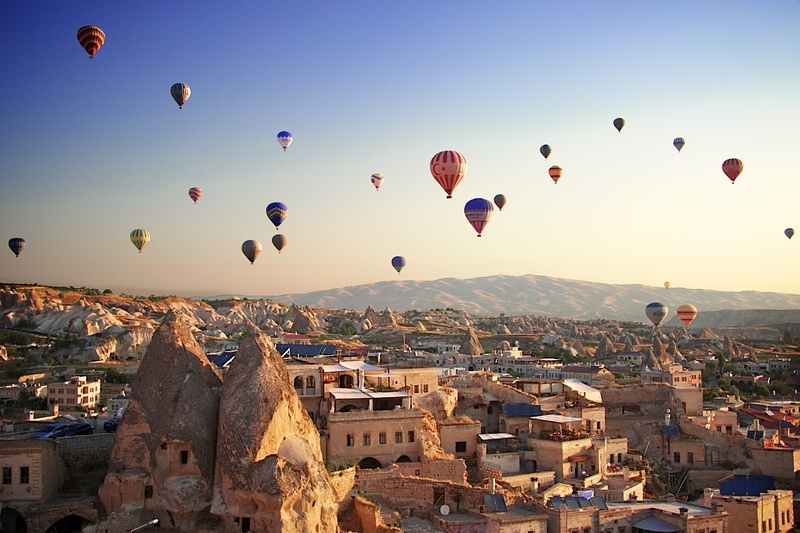 Then depart for Cappadocia. After a picturesque trip along the Salt Lake, visit the 13th century Caravanserai Agzikarahan. Arrive Cappadocia for dinner and overnight. After breakfast, visit Pigeon Valley near Uchisar. Then proceed through the Avcilar Valley to the Open Air Museum in Goreme and visit the early Christian churches decorated with frescoes of Biblical scenes. Lunch en route. 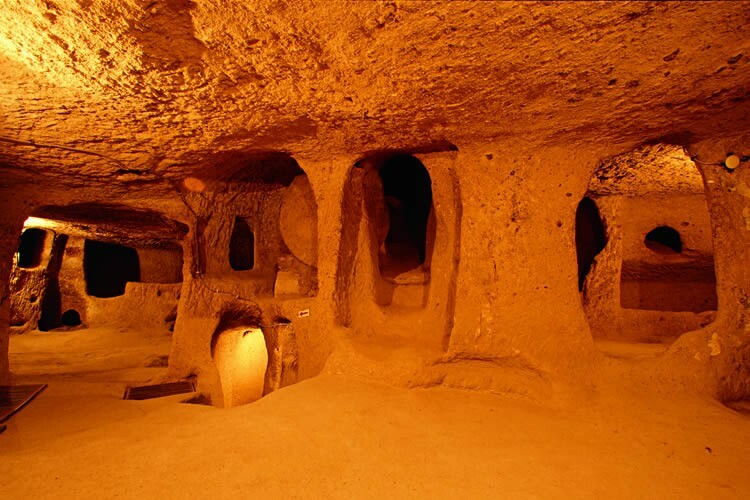 In the afternoon, visit the Kaymakli Underground City, where early Christians hid from persecution. 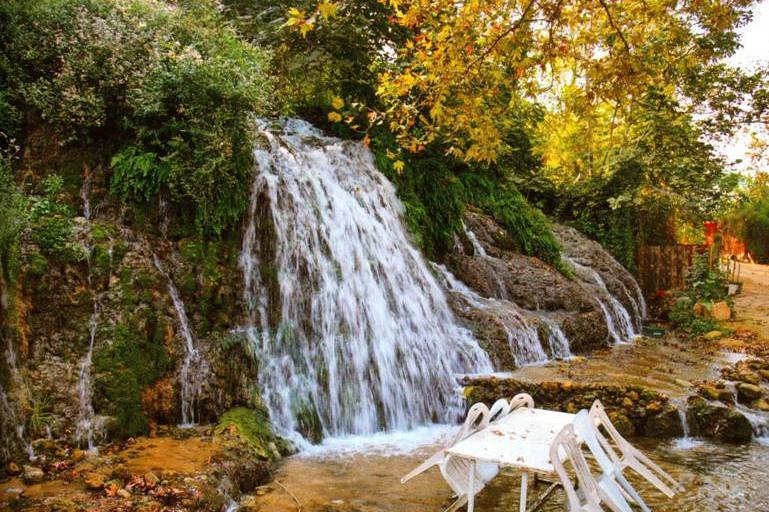 Continue to Pasabagi in the Zelve region and Avanos, famous for its handicrafts. Return to your hotel for dinner and overnight. Depart for Pamukkale. On the way, visit the 13th century Sultanhan Caravanserai. 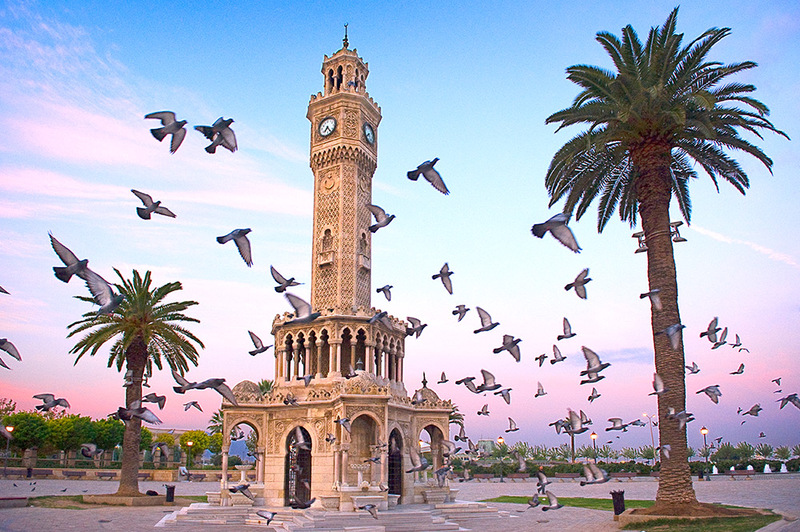 Continue to Konya and the Mausoleum of Mevlana, the famous mystic also known as Rumi, and the Theological School. Lunch en route. Continue to Pamukkale for dinner and overnight. In the morning, visit the ruins of the ancient Roman spa, Hierapolis. See the amphitheater, the city gates and the colonnaded streets. Continue to Aphrodisias, the "City of Marble" which was the center of worship of the Goddess Aphrodite until the 6th century after Christ. 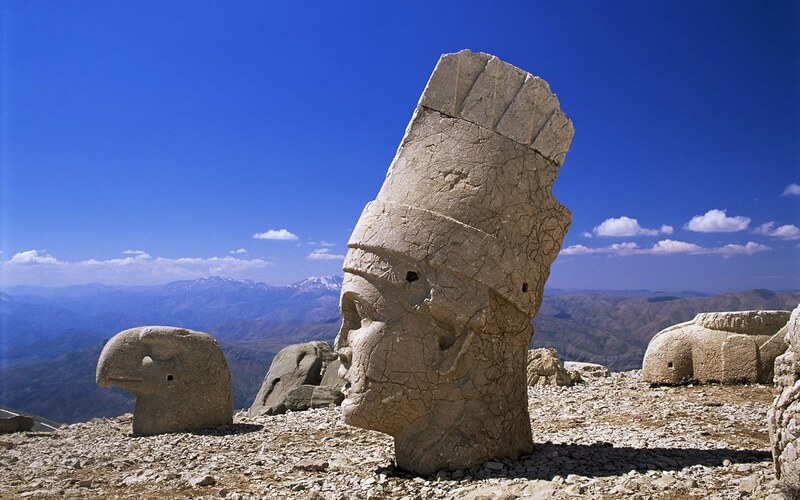 Visit the temple, one of the largest and the best-preserved archaeological sites in Turkey. Lunch en route. 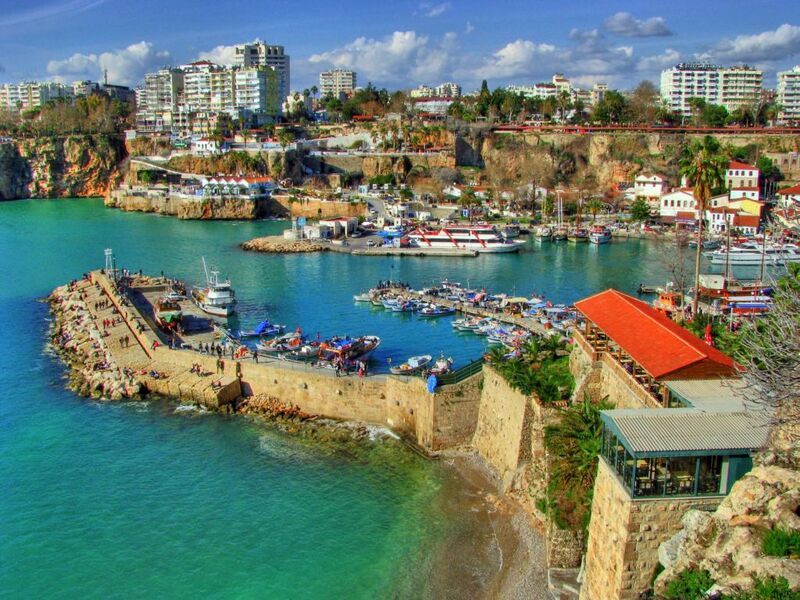 Drive to Kusadasi for dinner and overnight. Drive to Ephesus, one of the most extensively excavated and restored Greco- Roman sites in the world. 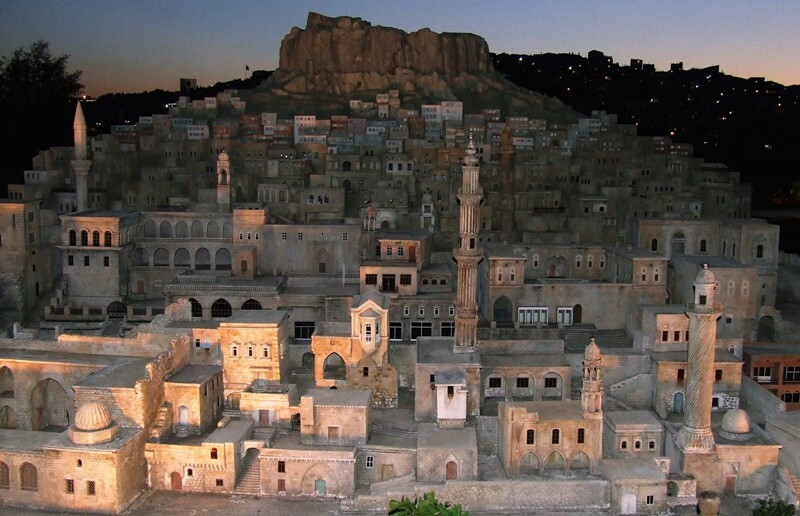 The city played a major role in the development of architecture, religion, and arts. Ephesus is another city of the Seven Churches of the Revelation, St. Paul lived here and preached here, and the Third Ecumenical Council of the early Christian Church was held here. Lunch en route. 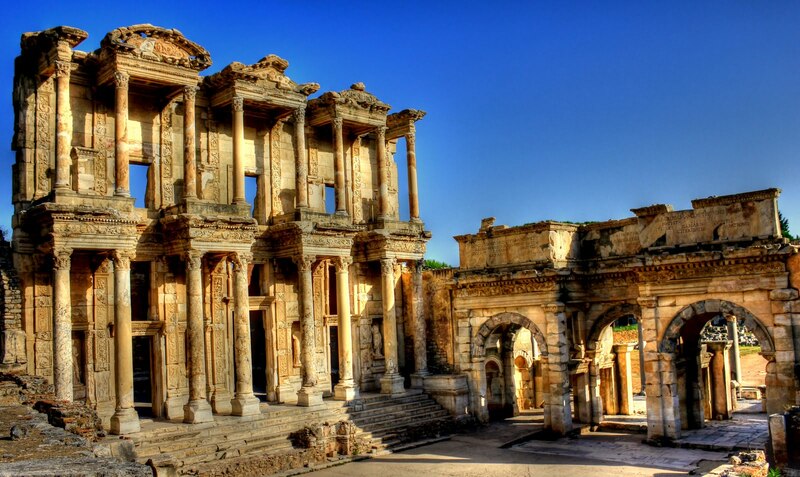 Tour the ancient city with its legendary marble streets, the magnificent theater, Hadrian''s temple and the Library of Celsus. Then visit the House of Mary, where she is believed to have spent her last days, and the 6th century Basilica of St. John. Return to your hotel for dinner and overnight. Drive to Pergamum, the most favored of the Seven Churches of the Revelation. Christianity reached Pergamum very early and its church was praised for its forbearance in times of persecution. It was here that the first Christians were executed by Rome. Visit the Asclepion, an ancient center for health, and the Red Basilica, one of the Seven Churches of the Apocalypse. Lunch en route. Drive to Troy, the legendary city of Homer''s Iliad. The first excavations were made by German archaeologist Heinrich Schliemann in 1871 revealing that Troy was not only a myth. 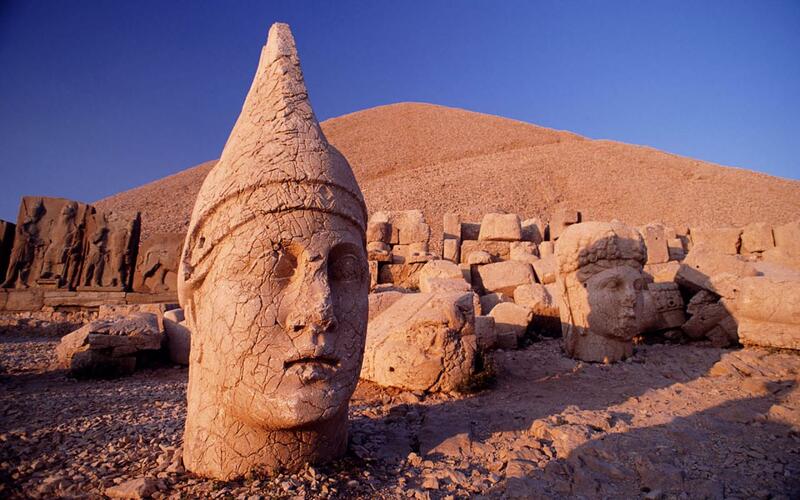 See the excavations showing several layers of this civilization, and the replica of the infamous Trojan Horse. Continue to Çanakkale for dinner and overnight. 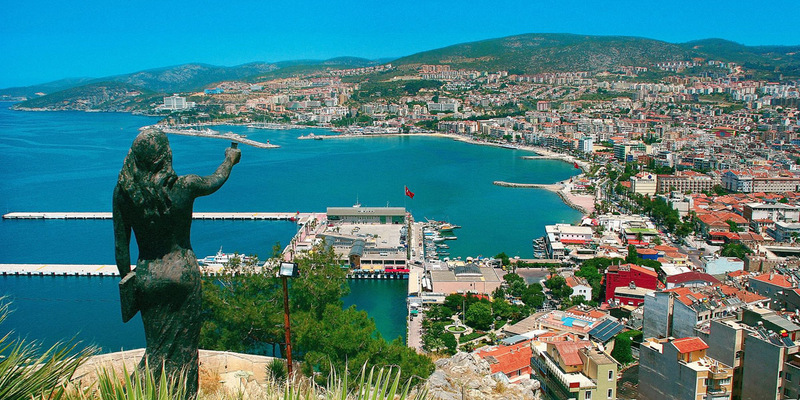 Cross the Dardanelles Strait by ferryboat and drive to the WWI battlefields at Gallipoli. Lunch en route. 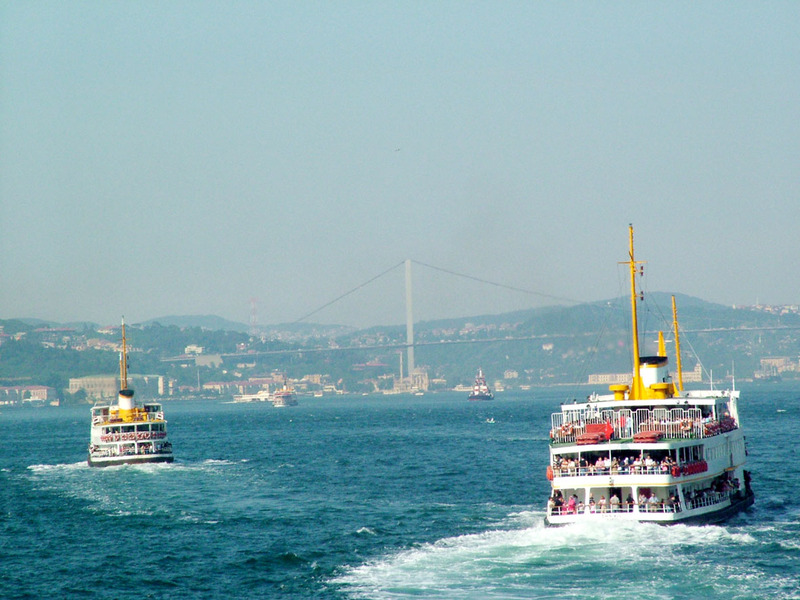 Continue to Istanbul through the European lands of Turkey. Arrive at your hotel for overnight. Drive to the Asian side of Istanbul and visit the Beylerbeyi Palace, the summer residence of Ottoman Sultans with original furniture and magnificent gardens. Continue to Camlica Hill for breathtaking views of the city. Lunch en route. 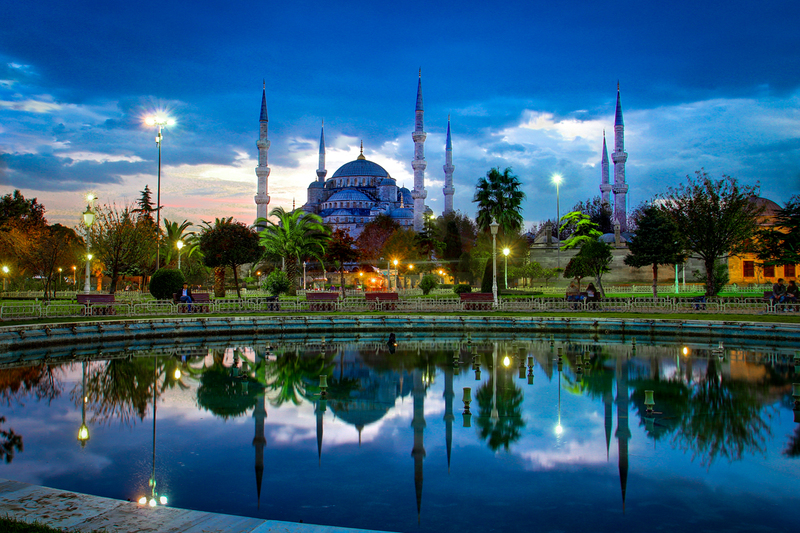 In the afternoon, visit the legendary Blue Mosque, named for the beautiful blue Iznik tiles that cover its walls. Then stroll around the historical Hippodrome where chariot races were held. 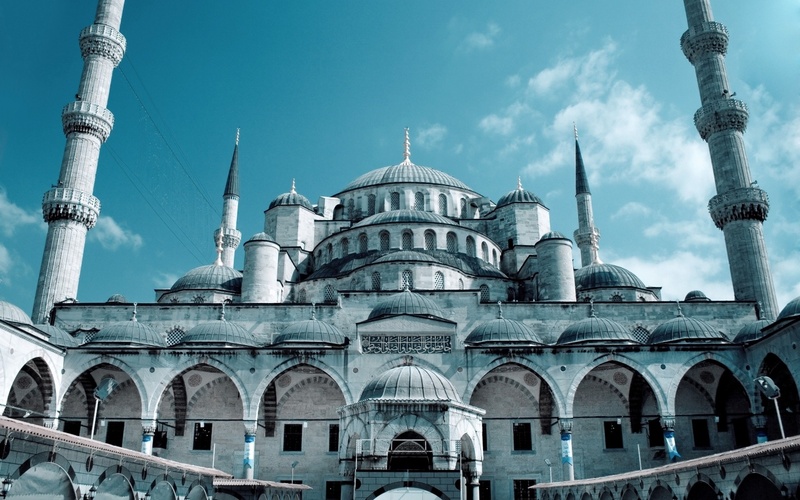 Visit St. Sophia, originally a Christian Basilica built by Justinian in the 6th century, then converted to a mosque during the Ottoman Empire. See the beautiful mosaics on display at the museum. Return to your hotel for overnight. 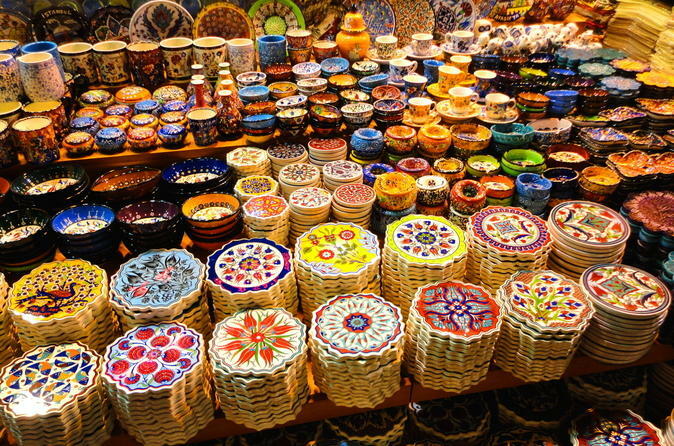 Visit the Egyptian Bazaar, used as the spice market since 1665. 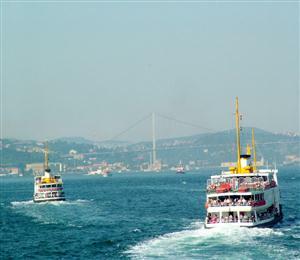 Next, board the ferry which crosses the Bosphorus, visiting both Europe and Asia, with stops en route to take photos of the natural beauty. Sites along the way include the 15th century Rumelihisar fortress, summer palaces and the unique wooden houses of the area. 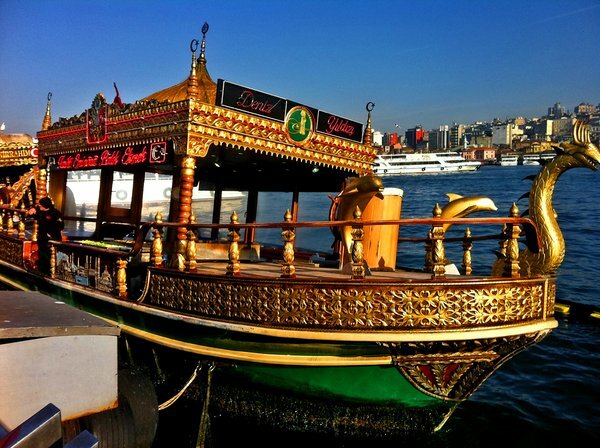 Drive back to the Old City and visit Topkapi Palace, legendary residence of the Ottoman Sultans. 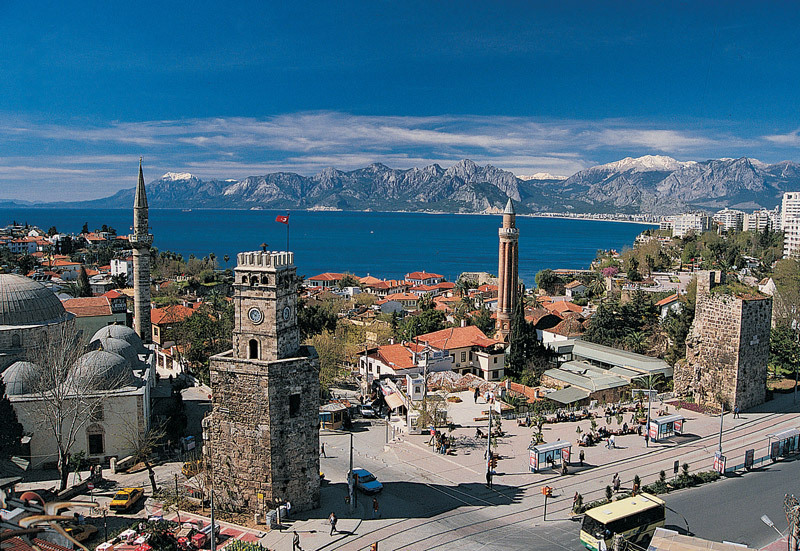 Then, enjoy some free time to explore the Grand Bazaar. Lunch en route. Return to your hotel for overnight. You will be transferred to the airport for your departure flight. 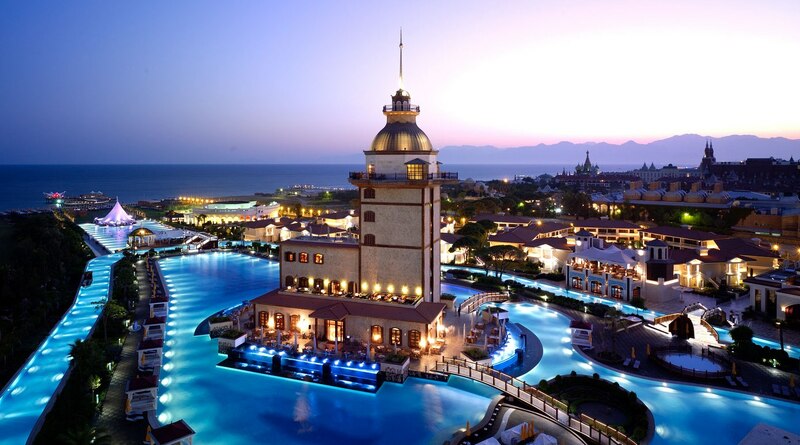 • 11 nights hotel, with buffet breakfast daily. • 7 dinners and 9 lunches. •9 days of touring in an air-conditioned motor coach, with a licensed, English-speaking guide, as per the itinerary. • Entrance fees, as per the itinerary. • Baggage handling at airport and hotels. • Hotel service fees and taxes. • Stylish Tours travel bag and information kit. • Travel insurance, highly recommended. • Meals other than specified. • Tips to guides, drivers, hotel porters, etc.